As an undergraduate student like myself, the last thing I spend my time thinking about is children’s fashion. For most of us, long gone are the days of seeing an age label sewn into the hem of our clothes, and the days of having children as opposed to being children have yet to dawn. But it seems in recent times, the paparazzi aren’t pushing to fill their glossy pages with shots of fashion royalty like Queen Beyoncé, Kim Kardashian and Gwyneth Paltrow as much. Now, it has become increasingly apparent that all eyes – or camera lenses – are poised at the A list children. Apple Martin, 11 year old daughter of Gwyneth Paltrow, and Blue Ivy Carter, 4 year old daughter of Beyoncé, both made headlines following a shot of them posted on Paltrow’s Instagram went viral after the Superbowl. Apple and Blue were seen holding hands wearing holographic, cyber styled bomber jackets while on their way to watch their parents’ half time show. The shot itself made its way into the realms of Vogue, Vanity Fair and InStyle, whom took it upon themselves to note that the girls shared a similar sense of style. The very notion of child stars is an interesting development for the fashion world. Especially since Balmain ballerina North “Nori” West, daughter of Kim Kardashian, made headlines back in October, after a video of her telling the paparazzi “I said no pictures” went viral. In fact, it was recently this month that Nori, again, insisted on no pictures. Mother Kim posted a video to her Instagram of North throwing some serious sass and telling her “no pictures”. While the video itself has already amassed more than one million likes, the emerging problem in everyone’s minds is whether child stars should be subjected to a life on camera. But, it isn’t just the girls who are raking in the royalties of legendary parents. 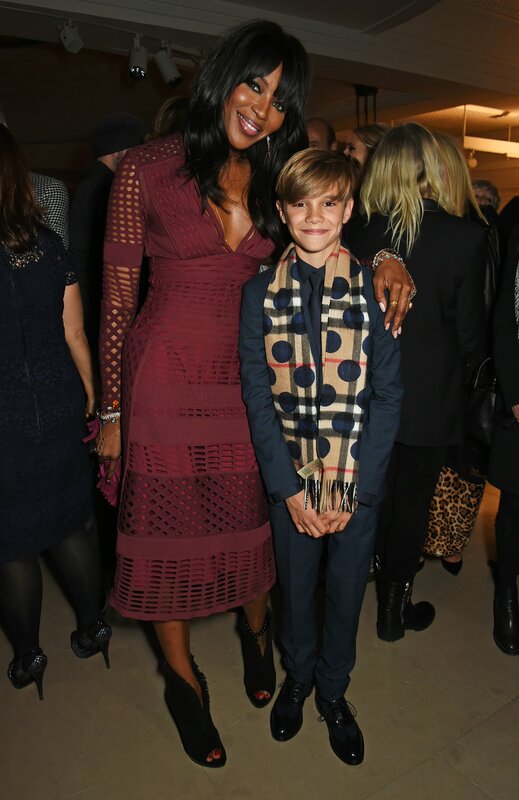 Romeo Beckham, 13-year-old son of David and Victoria, recently starred in his own campaign for Burberry alongside supermodel legend Naomi Campbell. While it has been established by the fashion house that shooting Romeo as their poster boy back in 2013 has subsequently lead to a massive spike in sales; model David Gandy was quick to point out the nepotism involved in the signing. So where do we draw the line? Is it fine for the industry to pick and choose whose children should be blessed with a lucrative career just because their parents have one of their own? Or should we take it on face value and accept that while it’s cute, the appeal of the “mini me” definitely shouldn’t go past the level of endearing? Tweet us your thoughts @SCANfashion.